Comments: One of the very few vertical Holy Land prints. 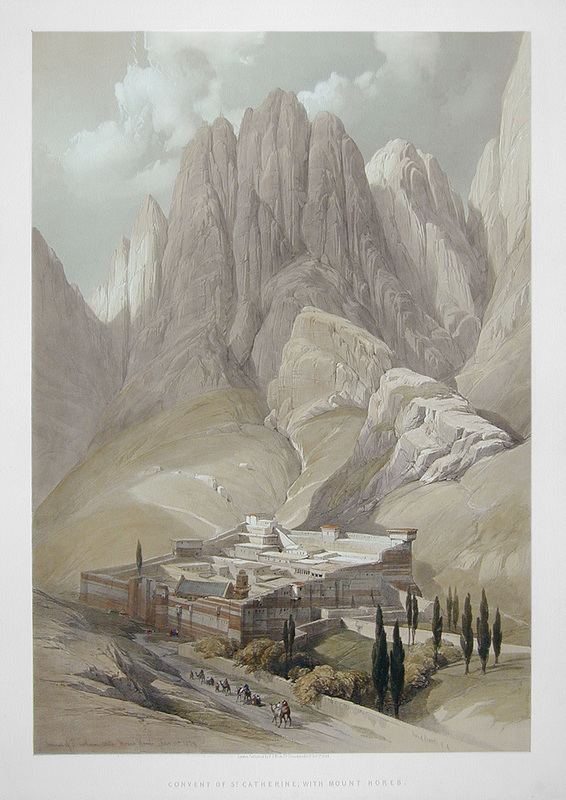 A fine rendering of the St. Catherine convent, showing Mt. Horeb in the background. Price: $2,400 uncolored, $2,600 colored. Image: 13 7/8" x 19 3/4"